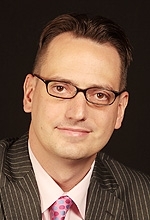 Hans Greimel is the Asia Editor for Automotive News, in charge of coverage from Japan, China and South Korea. TOKYO -- Can the Chinese succeed where the Koreans and Americans largely have failed: penetrating Japan’s auto market? BYD Co., the Chinese electric vehicle maker partly owned by Warren Buffett’s Berkshire Hathaway Inc., says it has become the first Chinese automaker to sell vehicles in Japan. BYD ballyhooed the transaction as a breakthrough for China’s auto industry that cracked open “a nation built on engineering excellence” with high-tech, environmentally friendly vehicles. The catch: It is supplying buses. And only a handful of them. A Kyoto city bus company took delivery of five long-range, battery-powered buses late last month, BYD said in a release. Still, the move is a milestone, said Liu Xueliang, general manager of BYD’s Asia Pacific auto group. BYD’s electric buses use iron phosphate batteries, in-wheel hub motors and regenerative braking. Iron phosphate chemistry has the advantage of being fire-safe and nontoxic, BYD says. The buses have a single-charge range of 155 miles. BYD’s entry to Japan is just a baby step, regardless of the merits of its technology. And buses are one thing, passenger cars another. As non-Japanese brands know all too well, making inroads with Japan’s finicky and nationalistic consumers is tough. The American market presence has withered to a trickle of cars. Even South Korea’s Hyundai, on a tear elsewhere in the world, failed to gain traction in Japan. In 2009, it stopped selling passenger cars here after eight years of trying. But Hyundai didn’t give up completely. It still sells, you guessed it, buses. And not many: Last year it sold just 79 in Japan.